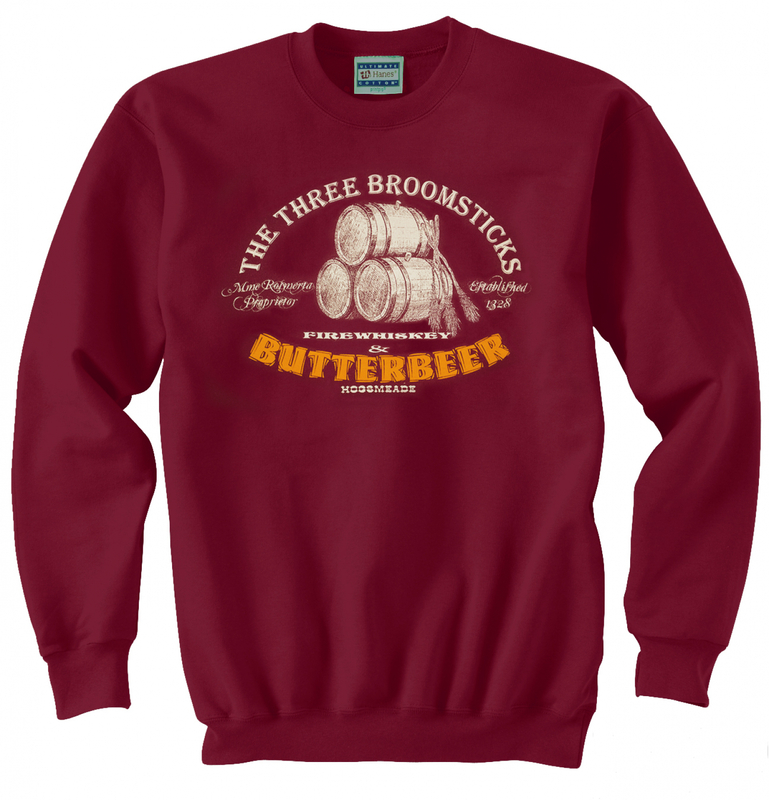 OUR ORIGINAL DESIGN Butterbeer Unisex Crewneck Sweatshirt with non-toxic off white & butterbeer inks. 90% COTTON midweight 10oz Sweatshirt. This is Hanes best "Ultimate Cotton," with a smooth, soft no-pill outside surface, and a cozy fleece inside. Spandex blended rib collar, cuffs & waistband to retain shape. SIZES: 1st measurement is Width is across chest, side to side, about 1" under the armholes; 2nd measurement is Length is from high point of shoulder to bottom. NOTE: THESE RUN LARGE for women! If you are not sure of your size, take a similar sweatshirt that fits you well, lay it flat, measure as below, and compare.